We are ever so slowly inching along in our remodeling. Our contractors spent half their day laying a very small area left in our master bedroom & closet. They are the slowest workers on earth, I swear! I don't mind when they take their time working on my floors, it's all the constant smoke breaks and playing on their cell phones. They spend more time on the breaks than working. Finally, ALL the tiles have been laid! 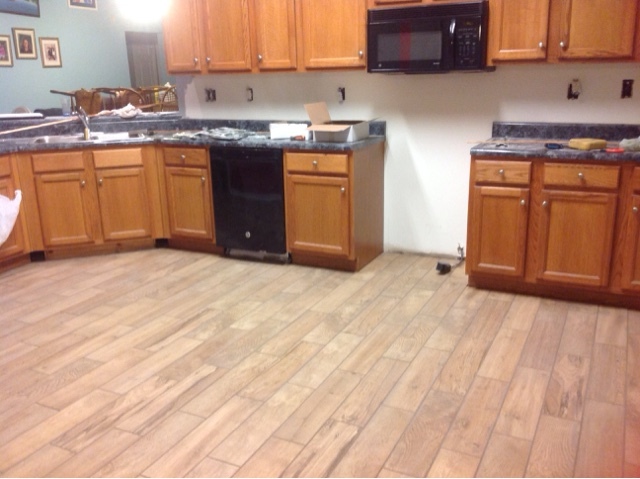 The grout in the kitchen is completed. 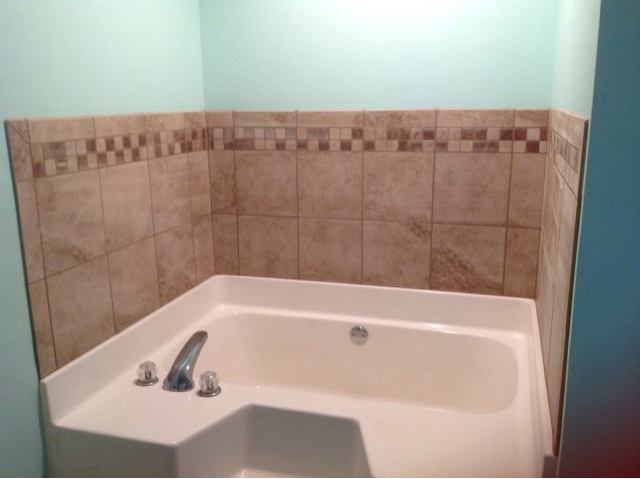 The tub backsplash in our masterbath is completed except for caulking we ordered but the contractor refused to add.